ST. GEORGE — St. George’s newly promoted chief of police says he will give the position his “very best” and that he is surrounded by the right people to help him along the way. 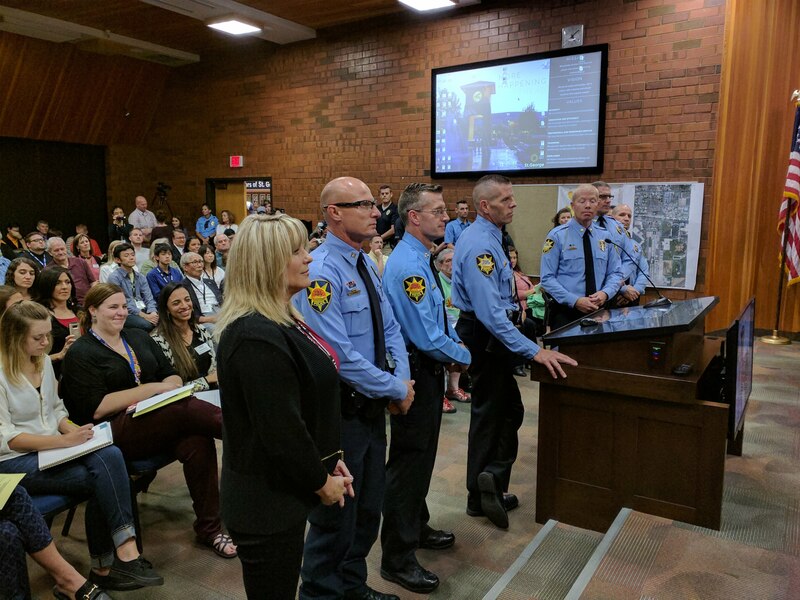 After bidding adieu last week to Marlon Stratton, who led the St. George Police Department for nearly 18 years, the St. George City Council voted unanimously Thursday evening to promote Richard Farnsworth as the new chief of police during a public meeting with a packed audience at City Hall. 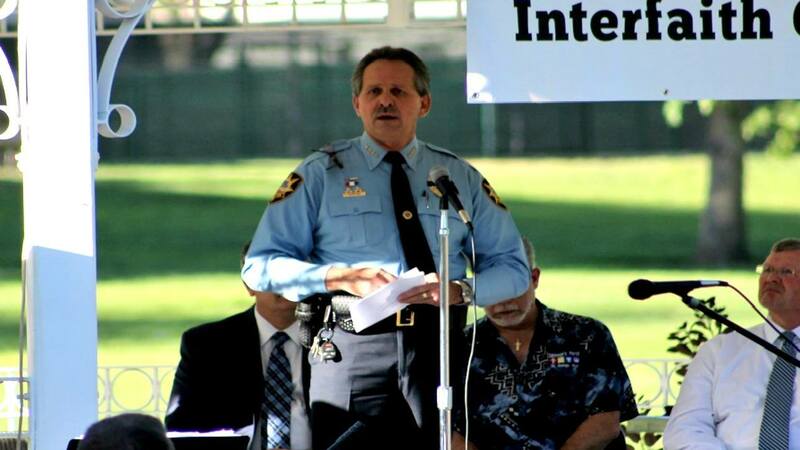 Farnsworth, who served previously as deputy chief, is a 25-year veteran of the police force in St. George. “I think this was a no-brainer,” Councilwoman Michele Randall said. “This was a really easy decision for us. Farnsworth told the City Council that he plans to maintain the strong relationship the department has with city officials. “I appreciate the vote of confidence, and I assure all of you that you will get my very best effort,” he said in response to the council’s affirmation. Farnsworth said Stratton left the department in a very good position. He and Stratton go way back, having worked together since when they were both patrol officers in the early 1990s. “I think he left us in great shape, and we’ll just continue on like we have done,” Farnsworth told St. George News. Farnsworth said his confidence in the future of the department is born from the faith he has in the officers and other emergency personnel who make up the department. During Thursday’s meeting, he recognized several people in management positions at the department and took the opportunity to promote two officers to new positions. Kyle Whitehead, previous captain of the department’s patrol division, was named deputy chief. Curtis Spragg, previously a patrol lieutenant, will take over Whitehead’s position as captain of the patrol division. Mayor Jon Pike also used the occasion to recognize the family members of the gathered officers. Congratulations all the way around. Could we get more patrol units on the streets to aid in reducing some of the crazy driving? Thanks. Great choice. Now city council, increase the number of officers, consistent with the “fastest growing city in the universe” chatter. More visibility equals more conscientious drivers, in my book.